I still haven't made the Rosie the Riveter shirt (still a few weeks till deadline, right?) but I did make another summer blouse. 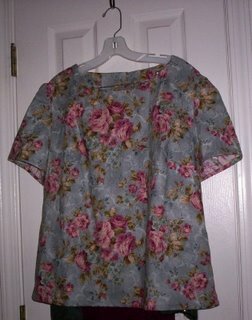 This is Butterick 4467, with quilting cotton from the clearance table.